Heading into the playoffs at Liberty High School Friday, Nov. 2, Wilsonville's volleyball squad had a reputation as one of the top teams in the state. It was not unearned, as the team's only losses had been to eventual 6A state champion Jesuit and top-ranked 6A school Mountainside. Against everyone else, the Wildcats were 18-0. In the first round of the playoffs, they encountered tough resistance against the Silverton Foxes but prevailed 3-2. Against No. 5 ranked Dallas, it was a different story. The Dragons beat the Wildcats 3-2, with scores of 25-20, 25-17, 10-25, 24-26, and 13-15 telling the story. After a competitive first set, the Wildcats began the second set well, getting a slight lead and hanging onto it throughout the majority of the set. Kills from senior middle blocker Emily Scanlan, junior outside hitter Lindsey Hartford and sophomore Clarissa Klein kept the Dallas honest early on. Freshman Ashli Edmiston got her fair share of kills later on in the set, and Wilsonville walked out of that particular encounter 25-17 with a two-set lead. As dominant as the second set was, the third set was its inverse. Wilsonville struggled to put points on the board with balls being hit out of bounds and other errors holding the team back. In the middle of the set, Dallas went on a 10-point run with several kills from the Dragons offense. By the time the final point went down for Dallas, Wilsonville had only managed 10 points of its own, losing 25-10. "This was a new experience for these girls, and one of those things where you're coming in and it showed in our serves," head coach Nathan Blankenship said. "We had four service errors in a row in the match we lost poorly. That's pretty indicative of nerves." In the fourth set, Wilsonville buckled down and fought back. Hartford had five kills in the set, followed by Edmiston with four and Klein with three. The team's setter, Kennedy Juranek, had all 14 of the set's assists. 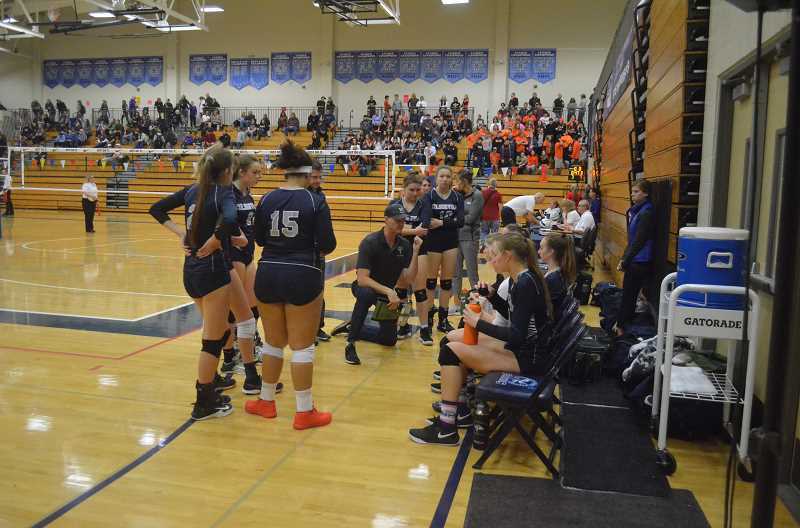 In what truly was a back and forth affair, Wilsonville was only overtaken in the last 10 points by Dallas, and wound up dropping the contest 26-24, setting up a fifth and final set. 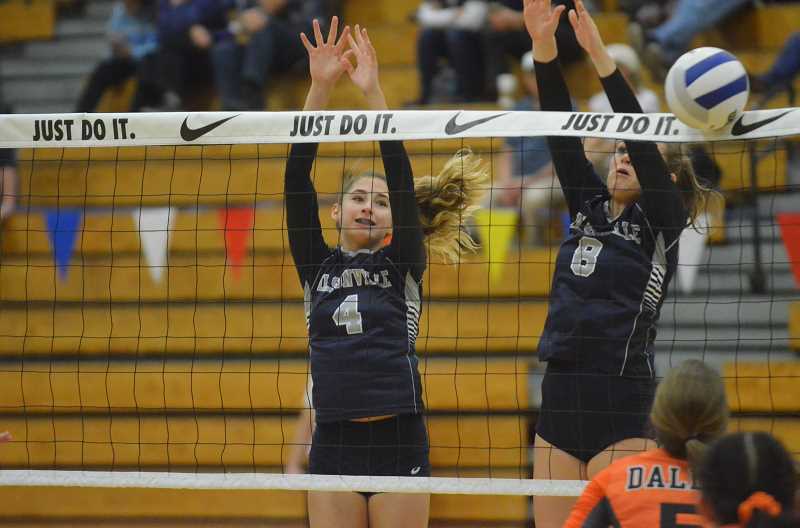 The fifth set started off strong as Wilsonville racked up four straight points courtesy of Edmiston's serves. But once again Dallas clawed its way back into the game, eventually overtaking Wilsonville 13-12 and holding on to the lead to win 15-13. "I think our issue was that we were getting to the ball, but we weren't pushing the ball deep enough into the setter's hands," Blankenship said of his team's performance. "The passes were too far back, and they were consistently 12-foot." In the consolation round, Wilsonville lost 3-1 (23-25, 22-25, 25-19, 19-25) to Hood River Valley.